Six new interns will join our Counseling Center Internship Program for the 2013-14 academic year on Aug. 5. For the first few weeks of August, we will orient them on our clinical services to prepare them for their roles and responsibilities. These interns provide a significant contribution to services for our students. A new content piece about “Dealing with Rejection and Failure,” developed by Laura Ebady and Annie Farmer, was added to the CMHC website. This topic was suggested by a member of the CMHC Student Advisory Committee. Chris Brownson and Jane Bost selected 14 outstanding undergraduate and graduate members for the 2013-14 CMHC Student Advisory Committee. The pool was especially competitive and deep this year, reflecting ever-increasing student interest in being involved with CMHC mental health promotion efforts. 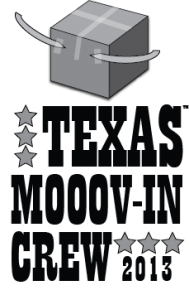 This month we mark the 20th anniversary of Mooov-In, a proud tradition of welcoming and helping new Longhorns as they arrive on campus. Our staff will work with hundreds of faculty, staff and student volunteers to help 7,500 students from every continent in the world (except Antarctica) “Mooov-In” to their residence hall rooms over Aug. 23 and 24. Our 161 residential communities will play a key role in the 360 Connections program this fall. Resident assistants (RAs) will act as mentors under the supervision of the hall coordinators. Smita Ruzicka with the Office of the Dean of Students and LT Robinson will train the RAs as the 360 Connections themes get incorporated into the RA Programming Model. 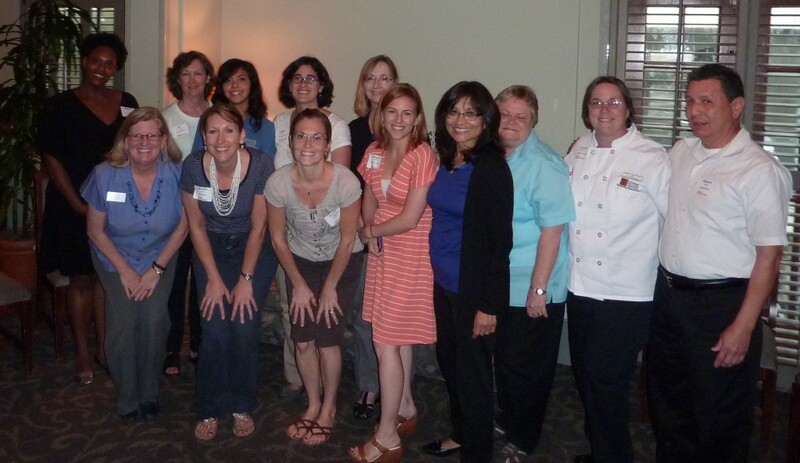 Heather Pruitt and Melanie Grice will be our representatives participating in the Shared Services Workshops. This is a direct result of the recommendations from the President’s Business Productivity Committee. Hemlata Jhaveri is working with the Cockrell School of Engineering so Kinsolving can host expanded tutoring sessions this fall as part of the four-year graduation initiative. Currently, engineering study groups and tutoring are available only in Jester. During closing this past spring hall coordinators Stacey Bennett and Joi Torres worked with the women of Kinsolving to coordinate a food drive for the Capital Area Food Bank of Texas. They collected 582 lbs. of food (equal to 485 meals). Food was delivered to the food bank early this summer. The Farm-to-Work program came back for the summer and has had great success. With 12 pick-ups so far, an astounding 500+ staff and faculty have participated. Each box includes a mix of hand grown and hand picked fruits and vegetables grown just north of Austin by Lightsey Farms. Each box costs $20; payment is non-recurring and 100% dependent on week(s) chosen for pick-up. There are two pick-up locations on the main campus and one at the Pickle Research Center. Get more information here. Food Service staff have switched from a soybean-based fryer oil to canola oil. Canola has a superior nutritional profile compared to soybean oil. It has no trans-fat, minimal saturated fat and higher levels of unsaturated (heart healthy) fats. Lindsay (Gaydos) Wilson, registered dietitian, provided an educational session on nutrition and wellness at the College of Liberal Arts first annual Dissertation Boot Camp on Friday, June 7. Topics included nutrition education, the importance of breakfast, smart snacking and how eating properly can aid in managing stress, which was especially of interest to the participants. The Dissertation Boot Camp was a success, with 241.5 pages written in nine days by 11 participants. We wrapped up July with the UTexas Chefs Symposium which included special presentations on creative food prep, new techniques and tours of local farms. HornsLink officially launches Aug. 19. Student Affairs departments were asked to create pages by July 26. Sponsored student organizations are asked to create pages by Aug. 18. For help creating a page or questions, contact Student Activities. 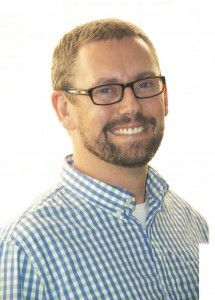 We’re delighted to announce that VA funding for Veteran Outreach on campus has been confirmed for a third year and welcome Jeff Moe ,VA outreach coordinator, to the team at Student Veteran Services. UT Police Department (UTPD) Liaison David Chambers is now working with Student Emergency Services (SES) on student emergency cases and as an advocate for students interacting with UTPD. His role parallels Victim Services specialists working with city or local law enforcement. We’re launching UT Austin’s first Student Conduct Board. It begins hearing student judicial cases this fall. Students interested in this prestigious appointments made by President Powers are encouraged to apply by Sept. 6. Staff is encouraged to ask first-year undergraduates who want to gain hands-on experience doing student affairs research to apply to be an OUR UT DoS Scholar by Aug. 15. We’re guiding sophomore students as they explore their leadership strengths and gain practical service learning experience through the Sophomores Advancing In Leadership (SAIL). Please encourage students to apply by Sept. 9. Sorority and Fraternity Life (SFL) invites volunteers to assist with University Panhellenic Council’s (UPC) recruitment over six days in August. Contact UPC Advisor Marilyn Russell. We’re busy working with every department across the Division to plan and promote the new Division of Student Affairs Student Job and Volunteer Fair scheduled for Oct. 23-24. It will be an excellent opportunity to identify incredible student staff as well a chance to build awareness about or Division’s innovative facilities, programs and services and their contributions to the campus community. With Mooov-In quickly approaching, we’ve been working with New Student Services and other partners to help communicate valuable information from across the Division to incoming students before they arrive. Gage Paine and Dean of Students Soncia Reagins-Lilly will be on hand to welcome students on Aug. 23 and we’re already busy scheduling live interviews that week with local TV stations. Gage Paine had a great chat with Division staff who had birthdays in July during Cupcakes and Conversation. See the photos. We’re working with Martha Hilley in the College of Fine Arts and members of the Student Affairs Communicators Committee to create a new faculty newsletter to help spread the word about the good work happening within the Division across the university. It will include a new online storytelling platform using Tumblr. Look for an official launch next month. We will be participating in New Faculty Orientation this month, helping to spread the word about the amazing work taking place across the Division. 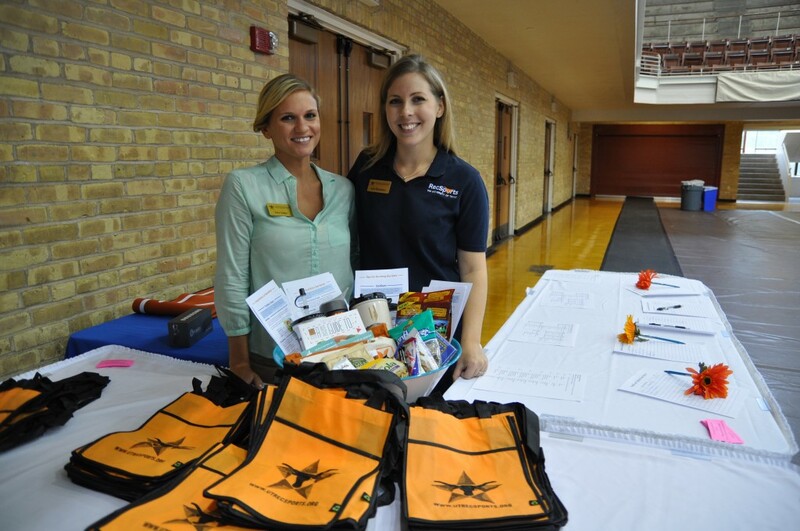 Membership and Guest Services hosted the annual RecSports Health and Lifestyle Expo for UT faculty and staff on July 18. The event, which drew over 2,000 participants, included information about annual enrollment. See the photos. RecSports will launch its newly revised website, www.utrecsports.org, on Aug. 16. The main weight room at Gregory Gym will reopen on Aug. 16, after a month-long major renovation project that will result in new and expanded weight/cardio machines, new flooring and expanded weight room hours. Full-time RecSports staff will gather for the annual Director’s luncheon on Aug. 15 to review the Division’s accomplishments for 2012–13 and look ahead to the goals set for the new academic year. We’re hosting our annual Fall Kickoff on Aug. 27 at Gregory Gym for our 600+ student employees. The program will include breakfast, announcements, staff training and the announcement of the 2013 Endowed Scholarship recipients. Planning and publicity efforts are underway for Party on the Plaza, set for Sept. 4 from 10 a.m.–5 p.m. on Gregory Gym Plaza. This campus-wide event is co-sponsored by RecSports, Student Government, Texas Student Media, Senate of College Councils and Student Activities. The Family Orientation program successfully hosted six sessions and welcomed over 3,600 families (over 6,600 attendees) to the campus over six weeks. We had a successful membership season throughout the summer, welcoming over 2,000 (and counting) families to the association. We’re participating in various Texas Exes Send-Offs throughout the state to help welcome the freshman class and their parents to the UT Austin community. We will be present at Mooov-In to assist DHFS with their effort to have parents send postcards for their freshman to receive at their new residence hall room. The Next Steps newsletter was sent out to the parents of the freshman class, with another issue to be sent out in August. We’re preparing for Family Weekend and will have posters in the residence halls and around campus during Mooov-In and the beginning of the semester. We have been supporting our student media and advertising managers this summer as they transition and become familiar with their new roles. We sent one of our student assistant managers to a College Newspaper Business & Advertising Managers, Inc. workshop to gain new skills for the media industry and prepare for their upcoming student manager role in December. The Center for Students in Recovery partnered with the University Athletics and The Last Resort Recovery Center to bring former Boston Celtic, author and recovery speaker Chris Herren to campus. He shared his recovery story with students and the rest of the university community on July 17. See the photos. UHS health promotion professionals received training in BASICS, Brief Alcohol Screening and Intervention for College Students, in preparation for a late-August launch. Supported by a strong body of research, this prevention program is designed for students who have experienced or are at risk for problems related to drinking alcohol. Following a harm-reduction approach, BASICS aims to motivate students to reduce alcohol use in order to decrease the negative consequences of drinking. Check out the latest UHS patient satisfaction survey results. Each evening, 10 percent of patients seen that day receive a survey link. UHS scored an “A” on every satisfaction measure, and 89 percent of patients agreed that their visit helped prevent their health concern from becoming a barrier to academic performance. We’re putting the finishing touches on our revamped physical therapy clinic. Soon students, faculty and staff will have access to physical therapy conveniently on campus. Physical therapy can improve mobility, eliminate pain, help postpone or avoid surgery, optimize post-surgical recovery and prevent future injury. Many of you met our Ph.D. physical therapist/licensed athletic trainer Gina Wagner at the July 18 Health and Lifestyle Expo. The University Unions calendar is now on sale. You may purchase one here. We’ve hired the search firm Spelman and Johnson Group to begin a new search this fall to fill the University Unions’ executive director position. We’ll be hosting the first annual University Unions all-student staff training this month, a three-day leadership development program for approximately 120 student employees. We are collaborating with colleagues across the Division for training workshops. Hogg Auditorium will host the New Student Services New Student Orientation that takes place in August as well as University Panhellenic Council Recruitment Convocation and Bid Day. We completed the installation of the signage, portrait and plaque for the Margaret C. Berry Atrium in the SAC. The staff at the SAC toured the Student Services Building and the new College of Liberal Arts Building to learn more about the way other facilities on campus operate as well as what resources they have available to students. Our advertising team created the new E+E logo that debuted in July.